HomeCrazy ComparisonsMidnight Crazy Comparison! 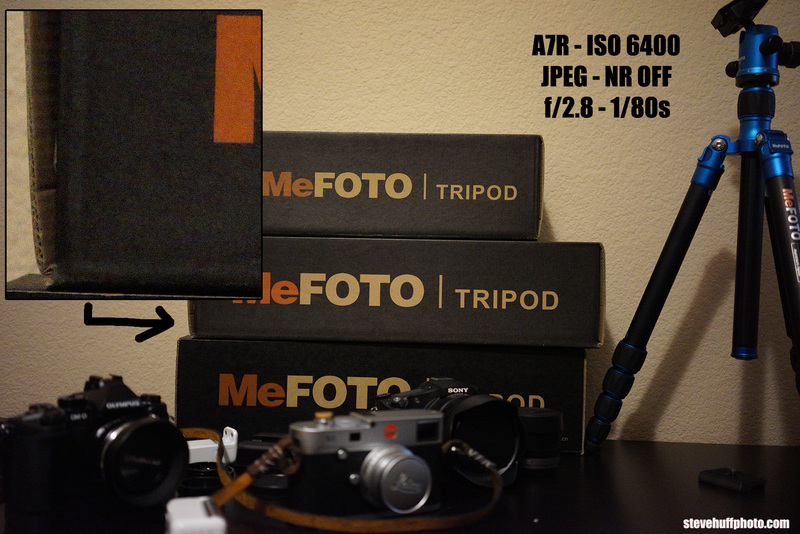 HIGH ISO – Sony A7, A7r, Leica M and E-M1! Midnight Crazy Comparison! 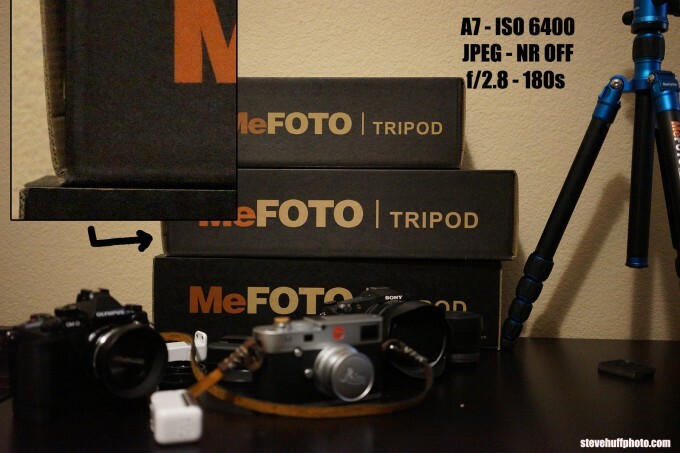 HIGH ISO – Sony A7, A7r, Leica M and E-M1! It’s just past midnight and probably will be 1Am before I am finished writing this post but I just can not sleep and am not sure why. In fact, I feel wired for some reason. Maybe it is the fact that tomorrow I will be yet another year older and hitting the age of 44 yet my brain is telling me I am 25 and full of energy 🙂 Nahhh. I think it was the fact that I was laying in bed thinking about what the high ISO performance of the Sony A7 and A7r is like side by side. I decided to get up from bed to go to my office and do a quick and dirty high ISO test between them. 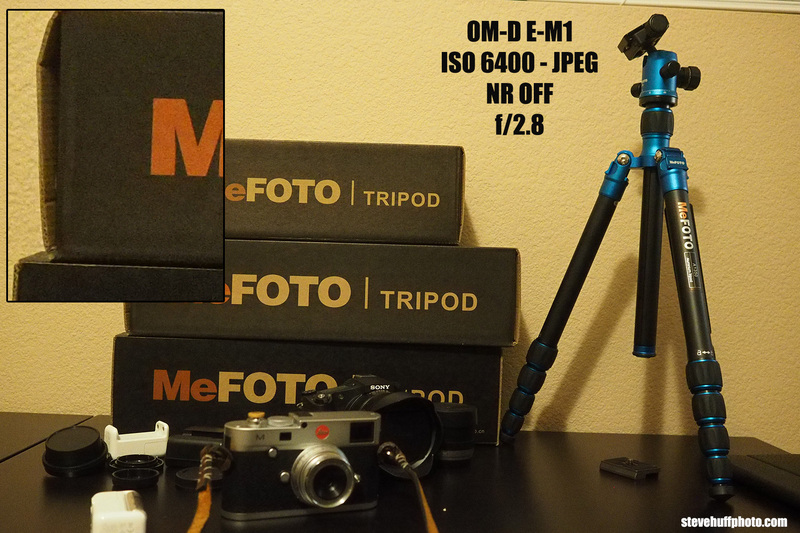 While I was at it I added the Leica M 240 and the Olympus E-M1. All cameras were using a 35mm or equivalent lens and all are OOC JPEGS without any NR turned on. I noticed some reviews of the Sony were claiming mushy details at high ISO. Well, that is because they were using Noise Reduction. TURN IT OFF on ALL of your cameras for best results. It is my opinion that NR should not even be an option for a camera as it always obscures details and adds odd side effects to your images. Almost like a painting. The 1st thing I do when using a new camera is I turn off all noise reduction. 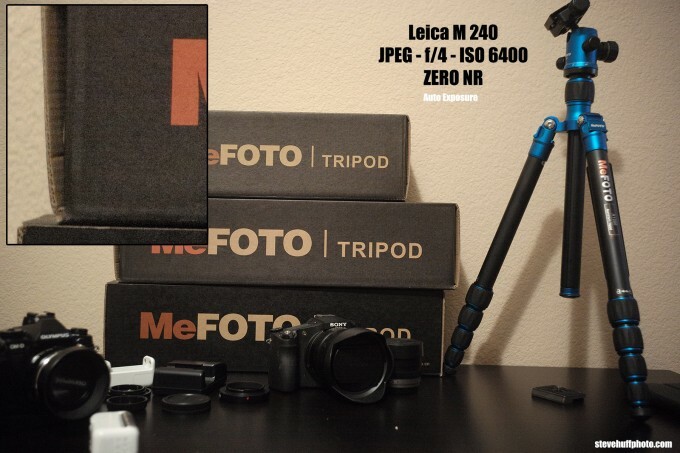 It is off on my Olympus E-M1, the Sony RX10 ,the A7’s and the M 240 does not even have it as an option (from what I have seen) so Leica did it right. 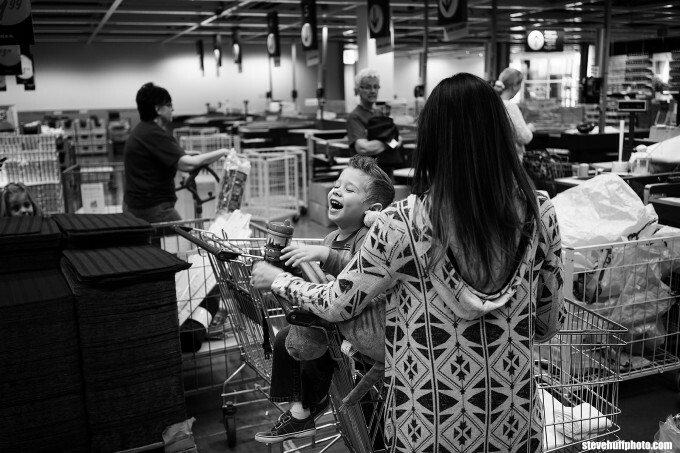 A quick snap while in Ikea today with the A7r and 35 2.8 Zeiss. f/2.8 at ISO 400. JPEG. So at $2300 for the A7r and $800 for the 35 you are $300 over the cost of the Rx1 but you also have a built in EVF which would run you almost $500 for the RX1R. So in many ways, the A7r is the better bet unless you want the smaller RX1R with the f/2 Zeiss. So again, my full review is in the works for these new A7 cameras, so check back soon for the full detailed report with loads of images. I will also be in Los Angeles next week with some buddies at a studio testing out these cameras in a studio situation as well as some quick street work. Can’t wait and these images and my report on them will be in the full review. The Crazy Comparison – HIGH ISO! Hey! This was supposed to be a High ISO Crazy Comparison! Lol..well, here you go! The Sony’s had the 35 Zeiss 2.8 mounted, the Leica has an old 35 3.5 Summaron mounted and the Olympus had the 17 1.8 mounted for a 35mm Equiv. ALL shots were JPEG, noise reduction OFF, OOC color and Exposure and AWB. The Sony and Olympus were shot at f/2.8 and the Leica f/4. It is not a sharpness test but a noise test so here we go! So there you go. Olympus did the worst with AWB, Leica did the best. As for noise at ISO 6400? What do YOU think? 100% crops are embedded so you must click the images above for the larger size. What I think is that ALL of them did great for a midnight indoor high ISO test in my office at ISO 6400 :). These days, high ISO is great on all decent cameras. It is now 12:51 AM..and I am ready for bed..finally 🙂 Have a great night (or morning) everyone! PS – You can pre-order the A7 cameras at my pre-order link page HERE! Shutter speed on the Leica and OMD shots? Unless that was taken into account when selecting the respective apertures for each shot, the comparison is meaningless as you can’t tell whether the OMD was shooting a 1/3, 2/3 or 1 full stop slower, thus allowing more light in than the A7. This is important since Olympus tends to inflate ISO values by 1/3-2/3 of a stop and Sony have had the tendency to underexpose in lower light resulting in higher noise, but faster shutter speeds. Knowing shutter speed, aperture and ISO is critical when making such comparisons. Here’s what I think: Although these JPEGs were all shot with NR off, all of them have had NR applied in the camera. Why do I say that? I have downloaded raw files of the A7 @ ISO 6400 from DPReview, and I can assure you that there is much more noise present than what we see here. (I used Photo Ninja/Noise Ninja 4 to process the files. Although PN does not yet have an ICC profile for the A7, it can read the files.) Almost certainly, the same applies to the other cameras tested as well. So, these examples merely serve to show that with the application of proper noise reduction, all of the cameras can deliver good, clean images at ISO 6400.
is AF-S NIKKOR14-24mm f/2.8G ED can use on sony a7r? Can auto-focus its running normally? Steve did you have the Warm colors option set on with the E-M1? I found that Olympus gives that way off white balance when the Warm colors are turned on. He’d pretty much have to have “keep warm” on to get that crazy tone 😉 EM1’s AWB is actually pretty darn good, maybe sometimes a bit on the cool side actually, if you disable ‘Keep warm” 😉 Got mine yesterday and it’s a fine little camera. 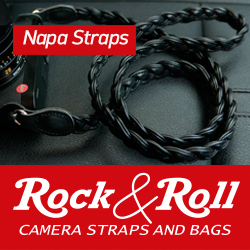 The Leica file has a quality that’s missing from the others, there’s less color noise & it’s more organic looking. ad 3: but I when have a camera that underexposes in flat light, like the Epson RD1 did, I will aplly positive compensation. I think any skilled photographer (which you definitely are), will try to expose “correctly” in “the real world”. Especially at high ISO in low and flat light, underexposing will stress the noise enormously. The A7 looks great: sharp, high detail, low noise. A7r and M240 are similar in luminance noise, but the A7r has rather ugly chroma noise. Might be removable in post, but usually colors suffer from that. Still, detail looks best. Downscaled it might be similar to A7. The M240’s quantity of noise is nothing to write home about, but the quality is very pleasing nonetheless due to it being mostly restricted to chroma. I like it. I was curious, so I set my Olympus E-M1 to ISO 12800. I have both Noise settings off. I have the setting for “Do Not Keep my Warm Colors” totally Off. I tried my RAW/JPEG settings with i-Enhance, Vivid and Natural and did not get the ugly orange tone you did. When I turned my “Do Not Keep My Warm Colors” to totally On, I was able to achieve the Orange Hue that you had in these tests at all three RAW/JPEG settings of i-Enhance, Vivid and Natural. The moral being, that all these cameras have a zillion combos of settings, and you need to take the time to work through them and run your own tests. I am thrilled with my E-M1 for it’s size, quality and performance. The Sony Cameras will need much larger and Heavier Lens and the Leica is just plain out of range for my income. This is all good discussion, but we all need to do our own fiddling with the settings on our own gear. Opps, I see that this could be an exposure issue. I agree with other reader. Normalize the exposure is more informative. That is how I try to shoot real world. I set for a certain exposure using compensation if needed. This test says more about how the cameras meter than how noisy are the sensors. Noise looks much better on the Leica! But it is clear the ISO settings are calibrated differently. Would like to see test redone with ISO real world equivalents! Happy Birthday, Steve! I’ve been reading your reviews from the early days, and I never grow tired of hearing your thoughts on the latest and greatest cameras. It just keeps getting better and better, doesn’t it? These are amazing times, indeed. Keep up the great work! Looks pretty much as I have expected. Quick look at DPreview shows that A7r is very comparable to D800 (again – no surprise there). Have been following your site for more than 4 years now and still enjoy it! What is the shutter spped of the m? Ithe M image may look better because it is more properly exposed. The sony pictures looks under, which will highlight the noise. So how about a test of all the same settings? You must not know me very well. ANYTIME I do ISO tests I have three rules. 1st – I DO NOT EVER use studio lighting to do high ISO tests. That is in no way real world. Who uses studio lights and shoots at high ISO? No one and that will always show less noise (when light is there to help the sensor). 2nd – I turn off all noise reduction in camera. I am not testing each cameras NR, I am testing each cameras high ISO. So zero NR. 3rd – I let the camera expose as it would in real life. This way, what you see IS INDEED what you will get. If I owned the A7r I would not go out trying to get it to expose like a Leica M. I would let it expose the scene as it does. So these tests will show what the user can expect from each camera. Matching cameras is ridiculous as that is not how the camera will work when out taking photos in reality. What are your thoughts on using the Sigma 35mm f/1.4 DG HSM Lens with LAEA4 vs the Sony Sonnar T* FE 35mm f/2.8 ZA on the A7R. I imagine he’d think, if he were not busy being a birthday boy, that that is alot of gear to stick on the front of a nice small camera. All personal preference of course. Even the Voigtlander 35/1.2 would seem very light in comparison, the Sony FE and Zeiss Biogon even more so. 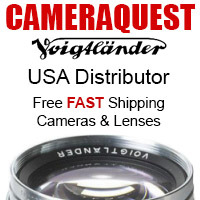 I dont doubt the quality of the lenses you mention but surely they’d balance better on an A99? Agree that VC is a good option too however but it’s MF. And adding the sony mount adapter enables phase detect AF on the A7R. For someone who already owns this 1.4 lens, I was curious as to weather or not there’s a noticeable difference than with the dedicated Zeiss 2.8.
well if you really dont mind the size then the Sigma is excellent, I tried it once when I had a 5D. So I suppose that could be an AF lens, and then if you felt like spending on something smaller AF or otherwise you could do so later. I actually quite like manual focussing as long as things aren’t moving too much. To me this shows that these are all very capable cameras – pick one, go out and shoot and have fun! I just got back from 2 weeks in Vietnam. I found that the M 240 was next to useless with Auto ISO set to max 3200. Yes it works, but the images are so grainy that I wouldn’t use them. I was using Lux 35, Lux 50 and SEM 21 mostly. It produces the best images at ISO 200 and anything above that is very noticeable. Do you have an M 240? I shot it on manual ISO and Auto ISO capped @ 3200. In low-light shooting, it’s not that good at all, sorry. I was shooting with 50 Lux 1.4, 35 Lux 1.4 using OVF and EVF. The M gets noticeably noisy @ high ISO as can be see from the 100% crop Steve posted. I personally don’t think either Sony A7 is that good either, certainly not as good as a FF DSLR. Olympus did the best ISO test! and Leica has the highest noise among the other. Oly looks to be applying some degree of NR/sharpening compared to the others. Leica has least noise in this test but the black noise is lower in the A7/A7R. Would be interesting to see if the M is underexposed like the Sony how the black levels would perform noise wise. Color (lettering) has less noise but again could be attributed to the underexposed shot in the Sony. HAPPY BIRTHDAY STEVE ! I like the a7 the best. But it’s all personal taste. Have a good day Steve. Are you sure the noise reduction was off on the A7 and A7r? Looking at the 100% crops from those two cameras, it looks mushy to me. Look at the out of focus background and the letter M in the box of the 100% crops. Thanks for your hard work Steve, and Happy Birthday! They were “OFF”…that doesn’t mean they are not secretly applying a tiny amount. Nikon has done it in the past. Thanks Steve. I like the Leica best. The grain looks the most natural, with no squiggly/smudginess stuff going on. As it should be, considering the cost difference. you miss something .. you can choose in the menu to set the write balance of E-M1 dont’ stay warm … its not AWB problem is only the settings problem . Yep, that is why I always turn that off on all Oly cameras right from the get go. Good to see these comparison. The results show the results of sensor and lens combination. If you use Leica lens on A7 and A7r cameras then we can have better idea which sensor perform better on high ISO. Maybe other settings affect the results, like exposure compensation. These 3 big sensors seems to have good results. 44 is a great caliber. Both Sony’s sadly are showing some “strong magenta vignetting” in the corners like they are using a wide angle lens that does not match to the digital sensor, this worries me! And please check the extra warm setting in the E-M1, it should never have a white balance look so yellow. the Leica in this test had the best overall balance of iso, white balance and exposure equality across the whole frame. > Crazy Comparison – HIGH ISO! Those people that always talk about how micro4/3 can’t keep up with APS-C or even more FF because of the 2x cropped sensor must be finding a hard time believing in what they see here. That EM1 shot is so strange I think you should do it again, it actually seems to perform very well in the noise department considering its tiny tiny little sensor but I am wondering if the warmth effect is just masking the noise more than the others…is it capable of being more white in jpeg or is that as white as you can get? I think, disregarding that oddity from olympus the Sony products win here, I would like to see some RAW comparisons like this because I imagine the larger A7R could be downsampled to perform as well or better than the A7. Good stuff. I think the M240 created the best image. I realize this is a grain test, but considering the overall output, the M240 comes out on top, in my humble opinion. Thank you, Steve. But why is the Leica at f/4, while the others are wide open? So if the Leica were at f/2, ISO would be 3200… And then the Leica would destroy these cameras in terms of IQ. The Leica lens attached is an f/3.5 lens, not possible to go to f/2. Also, I was not testing depth of field, I was testing high ISO to test high ISO. I could have shot these at a lower ISO but it was a high ISO test in low light. Also, the Leica SHOULD win by a huge margin as it is $5k more than the Sony cameras! $5k is a large chunk of change. Can anyone out there please tell me if the new Sony A7 – A7R are made in Japan or China? Neither, it’s made in Thailand. Not a valid test.Should be in RAW compared side by side small text…. It’s valid test if you need to use JPEGs… which sometimes you do if you have to deliver a result right away. If you have to deliver the results right away running the RAW file through your laptop or computers quick processing presets (say in Lightroom) will be practically instant. Even batch processing a bunch of images is quite fast and most likely you will want to at least double check WB etc. This doesn’t mean that your pictures are always going to be that much better, just that there is that much more data to work with. Noise processing is one of the biggest areas you benefit from processing RAW. If your going to spend the price and get a Sony A7 (or R) and go full frame you probably owe it to yourself to do some level of RAW processing… That’s where the lead for the full frame cameras grows. Leica is the best. The noise is less erratic. It’s a regular grain nearly pleasant. Happy birthday Steve. I’m 52 and I also have the feeling to be 25. The most important is the feeling you have. Happy Birthday and I appreciate the insomnia! and a deep good sight better than the new 50 mm Leica Summicron. Today you should see your own reflection in the mirror and assure yourself that you’ve got to empty your pockets and throw a big party today. Happy Birthday! wouldnt the Olympus noise be worse if White balance was right? Yes and no Henning. Yes, if the light is that orange in reality, then boosting the blue channel for a more neutral white balance will almost always increase the noise. No if your time was just short enough to capture only part of the frequency of your current, as I tried to explain to Dave above. In that case, just using a longer time would result in a more neutral picture. Noise no matter today nor anything else but only Happy Birthday Steve! Thanks for your grate job here! That’s not what I see at all, and not what Steve saw either, if you read his comments. It’s clear that the Leica M is best overall. Happy birthday Steve, thanks for posting this! Mars Observer is right – ok, your taste may differ, that is fine with me. It is worth while to first capture the images and normalize them (gamma, brightness, white balance) n a decent image processing software – and to compare the results. Looks like the Olympus did a great job in regards to ISO 6400 noise. I’m looking at the details on the tripod and I’m not seeing much loss in detail as compared to the others. The AWB though is awful but would be fixable, esp. if shooting RAW. I’ve been waiting for your results. I’ve got a Leica M on order and was thinking the A7R might just be a possible replacement. Glad to see the Leica holds up under the ISO test. I have several Olympus cameras, including the E-M1 & E-M5, and always turn “Keep Warm” off. It’s easier to warm a JPG with neutral WB than to correct an orange one. With warm off, the E-M1 is better than the E-M5. Great IQ in that “inside the Ikea” shot. Happy Birthday Steve and thank you for all of your hard work! ….also Steve when u say “silkier” are u referring to the feel or the sound of the shutter? I was surprised at how well the Olympus hangs with the big boys. The orange AWB is something I have seen on other cameras, too. So it is good to know that Olympus will show off your tan at ISO6400. Hmmm… I too had an M9 and have the new M, and don’t see that at all. I agree with Ming Thein, and most reviewers, who actually find the new M color rendition smoother and more pleasing. It’s more like a hybrid CMOS-CCD sensor, that gives benefits of both. What you probably mean is that you are USED TO the color of the M9. here we disagree again (it may become a tradition, it seems (;->)). Hi Steve, Happy Birthday ! Exactly what you can do if you are planning on shooting at high iso’s. Don’t expect the same IQ as an M.
May not be worth it, for the price of a Leica M lens, you can buy several Sony/Zeiss lenses. If you really want to use your M glass, get an M body. It’s as simple as that, there are no shortcuts. You will find that here in NL there are quite some M240 available second hand now, after the A7R made its mark. With proper settings _and_ suitable lenses, the A7R tends to win IQ-wise… (there are other good reasons to hold on to your M240 over an A7R – shutter shake possibly being one of them, the IQ at f=50 mm and above is, however, not – not even in the examples shown here – take the effort to normalize white balance and exposure in the frames given – and compare again). All the best and don’t worry you’re no more 25, just keep the spirit and continue the god job. Oh missed that. Happy Birthday Steve! I would not sleep either if I had gone to IKEA, the nightmare trying to find the exit would be relived. What about a hand-held try? I guess that Olympus IBIS might balance (even more than that) the crop factor in this static example! Weird, I get very accurate WB when I shoot indoor with the E-M1, even under tungsten/fluorescent. In fact I just tried it and it’s still very accurate. Perhaps as Edward said you had the “keep warm colors” turned on? When you enlarge the photos the red in the A7r looks a little worse. Maybe zoom out a little on the A7r so it’s the equivalent size, then compare it. The corner of the card board box on the A7r looks better than the Leica. And don’t forget to put the trash out after the present-fest. With the E-M1 was the slightly annoying ‘Keep warm colours’ on? It’s a great look for daytime shots to have that boost but under most indoor lighting it results in orangey tones where they’re not wanted. If it was off then it is a shame that the Olympus is that out. that would be my guess too, the E-M5 auto white balance is always so reliable so this is surprising. The little sensor holds up well in the noise stakes. Totally agree. The EM5 auto white balance performs beautifully if the settings are correct. I can’t imagine the EM1 being this poor when I have never experienced this issue on the EM5. Either the mighty Steve has done the Olympus an injustice or Olympus better get working on their first firmware update. Which is it Steve? The ‘keep warm colours’ is noticeably worse in the first gen 12MP sensors that the Sony made E-M5 one. But when turned off both perform pretty darn well in AWB and even better with the presets. I find I still get a warmer look when using my 45mm 1.8 than any of my Panasonic lenses so Olympus do like a red/yellow bias in their lenses too. yeah i notice this as well with the oly 45. the 2.8 pro, however, has a nice neutral rendering that i love the look of. in terms of WB, i only get heavy yellow cast with warm colour set to on. once set to off, it’s extremely accurate in balancing. btw for em5 owners, the em1 wb is much better; not a huge gain if you raw process but great if you tend to mix jpeg and raw. EM-1 seems to be behind the other, loss of details in shadow and strong NR (even if it’s off! ), and the smaller MP count don’t help. Yeah it’s pretty obvious there is some strong NR going on. It’s probably color NR only or something, reducing your control to luminance NR. That said, all the other cameras likely still do some NR with NR set to off, that’s just typical of all manufacturers. I am impressed with the EM-1. It competes extremely well with the larger sensors. On a A-3 size print you would never notice the difference between these three cameras. I think that this is quite an accomplishment by Olympus. The OMD’s apply some noise reduction at high ISO even with it switched off. Primarily it removes coloured noise in the jpegs. In the comparable RAW, the coloured noise is there at ISO 6400 & requires manual removal. Otherwise, even though it loses out to the three FF sensors, the fact it can even come so close for being 1/4 the size is quite astounding. On my EM5, I limit Auto ISO to 3200 but on the EM1, I’ve become very comfortable limiting the max to 6400. It’s interesting to see just how close they all are and how usable each one is, not that I have ever used ISO 6400. Happy birthday and keep rockin’! Wow, how time flies! You were born after the Woodstock festival! 🙂 HBD!! BTW I love those small editorials. I can always find the time for them to read. This is not related to ISO but since I didn’t find anywhere else here it goes: when MFsing with 3rd party lenses is the peaking always active or I have to press a button? Would be awesome to have the functionality of just rotating the barrel and automatically engaging the peaking. I’ve not get my hand on the A7R but my NEX will always have the peaking there as long as you activate it in the menu. You can set it from low,medium to high sensitivity and change the color from white yellow or red. higher sensitivity works in lower light while the low one is more accurate. Peaking is always active. I have mine set so that it’s always active at 100% but then I set a custom button to magnify x7/x14 when I need to really nail the focus. Thanks for this review. My question is, what camera would you prefer in IQ? Sony A7 or the Sony RX1(both without R). I now have a RX1 and decide to buy an A7(for my Elmarit 90 because of your Review:-) as second Body with an Portrait lens. The second option for me is, to sell my RX1 and have two A7 bodys with 35mm and 90mm. winner : it’s Leica for great dynamic range in shadow and best shape of noise it’s grainy and Circle, like as negative film. My impression is: Best is Leica M240 it has a little more grain because it is brighter than the other. Followed by A7 – A7R- OM-M1. But the difference is not dramatic. Have a nice day!! Has someone tested cle 28 m-rokkor? All the reviews on the net shows the Pentax K3 is the best camera out there .Know i see why it’s not in here , it would have done a better job then any of the 3. Sadly you have no clue as to why it is not here…I do not have one. If I did, it would have been. But hey! What do you guys mean? I love Pentax and have K-5. K-3 is not much better then K-5 when it comes to iso, and you cant compare it with FF-cameras. They are one or two stops better. Are you ironic? Pentax is great, but uhhh… yeah.